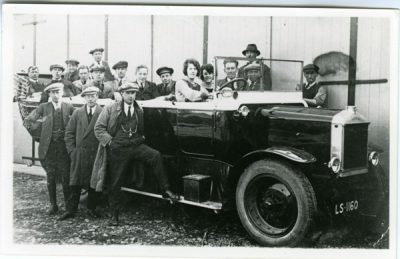 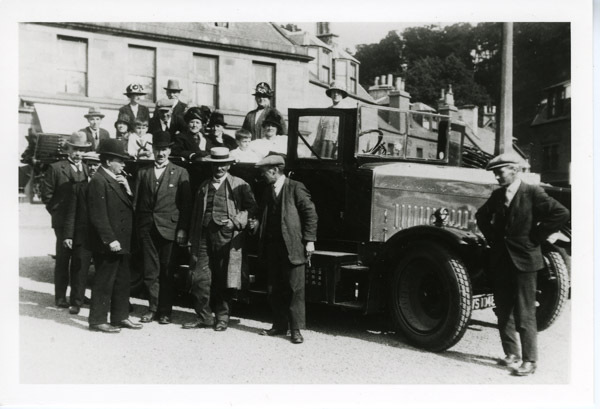 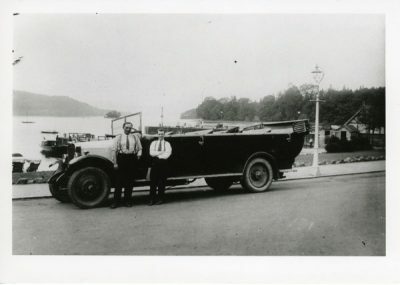 A group of men stand about this QX type Halley while women and children sit in the charabanc. 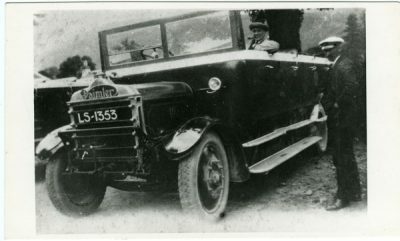 This model was supplied as 18 or 20 seater, with a 4 or 6 cylinder engine, this is thought to be the larger hence the large bonnet Reg No. 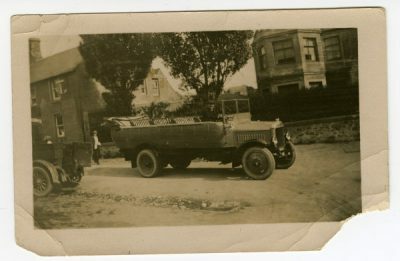 is VS 1046. 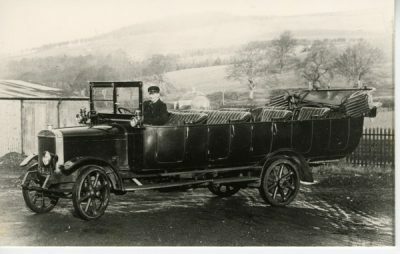 From 1925 in Melrose on charter from Dunlop, Greenock.